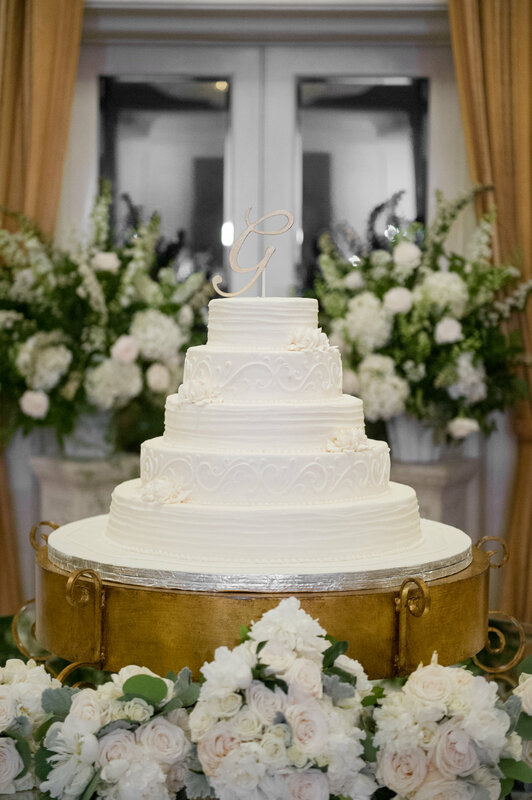 Julie's June wedding was timeless with it's crisp white peonies and creamy ivory roses! 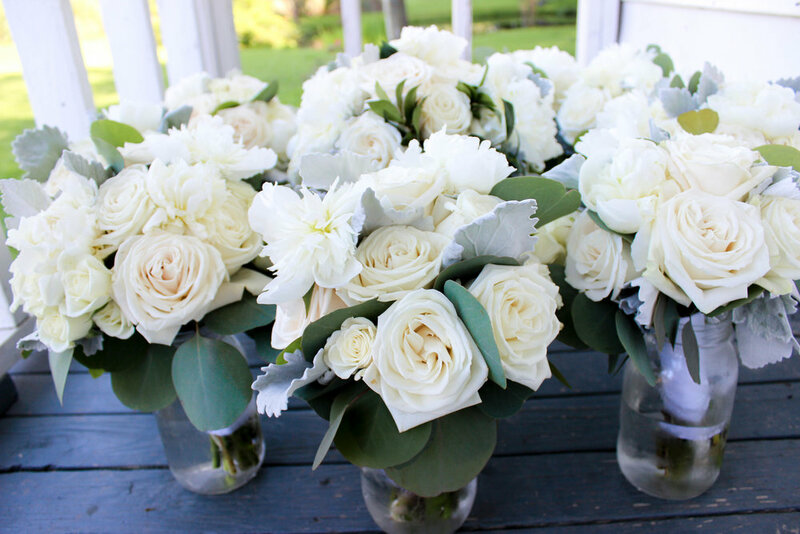 Julie chose garden style bouquets with white peonies, cream playablanca roses, snowflake spray roses, dusty miller and jasmine vine. 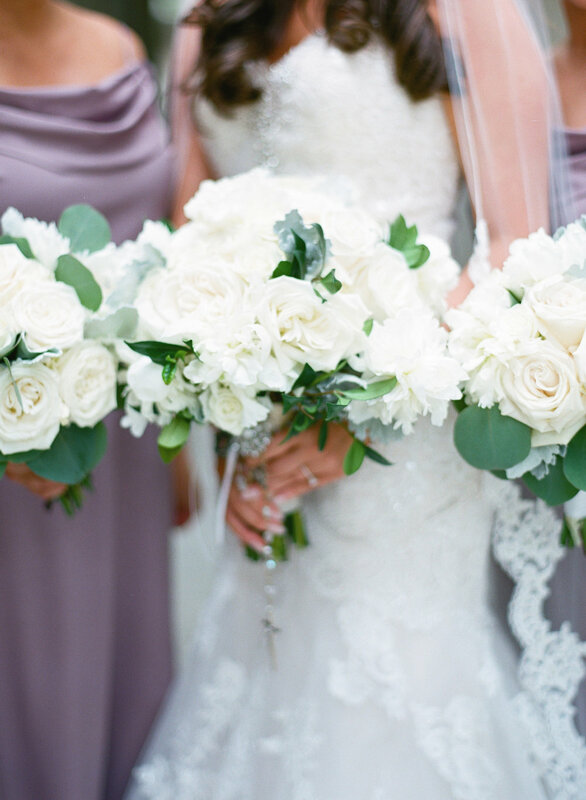 The bridesmaids wore dusty lavender dresses and held bouquets of ivory roses, white peonies, dusty miller and eucalyptus. The tiny flower girl held a kissing ball filled with snowflake spray roses and wore a matching floral crown. Matching boutonnieres of snowflake spray roses, dusty miller and eucalyptus. Large traditional style arrangements of ivory and white for St. Joan of Arc church. This spirea is spectacular! 1. What was your overall wedding style/theme? 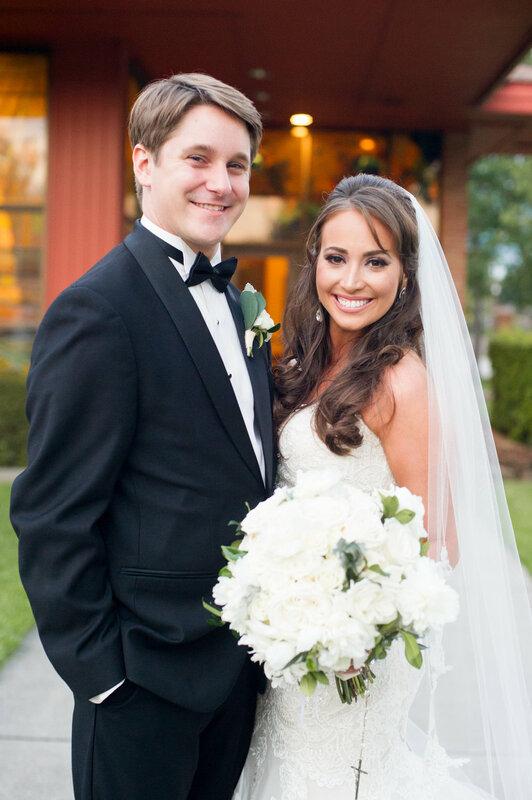 Our overall style that we wanted portrayed for this wedding was classic, simple and elegant. 2. How did you choose your wedding color palette? Purple is my favorite color! My bridesmaid dresses are the exact color I wanted. I searched Pinterest and many wedding pictures to find what I wanted. I always made sure to pin and save what I liked. 4. What was your favorite part about your wedding day flowers? I loved the look of all white flowers and some added greenery showing. It looked so elegant especially with my bridal party. The colors showed up beautifully in pictures. The pearl and rhinestone broach on my bouquet went so well with my shoes and my dress. I was so happy with the final product! Thanks to Julie and her mother, Sheryl, for choosing The Floral Cottage to design for the wedding! You were a pleasure to work with and we wish Julie and her husband, Robert, many years of joy and happiness!